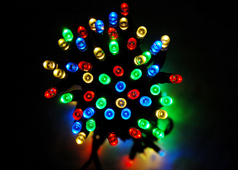 If you have been using outdoor christmas lights over the past few years there is a good chance that you get a bit of a shock when you receive the first energy bill of the new year. Energy rates have been rising rapidly over the past few years and if you are considering outdoor lighting this Christmas these solar fairy lights might prove to be a worthy investment. The 100 Bulb kits normally retail for 59.95 Euro on Purchase.ie but you can save 10 euro if you buy before November 26th. You can also save 25 Euro all this week on the 280 Bulb Kits. Normally 99.95 Euro order today at a knockdown price of 74.95 Euro. This offer is only valid between November 19th and 26th 2012.